The original article can be found online at https://doi.org/10.1007/s13272-019-00382-5, https://doi.org/10.1007/s13272-019-00385-2, https://doi.org/10.1007/s13272-019-00376-3, https://doi.org/10.1007/s13272-019-00371-8, https://doi.org/10.1007/s13272-019-00379-0, https://doi.org/10.1007/s13272-019-00377-2, https://doi.org/10.1007/s13272-019-00372-7. The original version of below mentioned articles was unfortunately published with the special issue title “Aircraft noise generation and assessment” as article title. The correct article titles are given below. Exploitation of hybrid anechoic wind tunnels for aeroacoustic and aerodynamic measurements https://doi.org/10.1007/s13272-019-00385-2. A flight demonstration for airframe noise reduction technology https://doi.org/10.1007/s13272-019-00376-3. 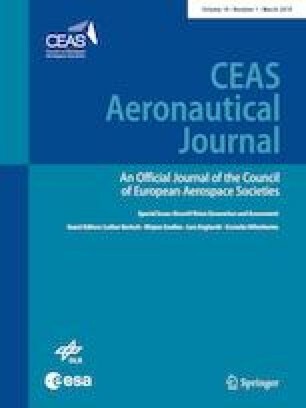 Advanced low-noise aircraft configurations and their assessment: past, present, and future https://doi.org/10.1007/s13272-019-00371-8. Overall vehicle system noise: sonic boom https://doi.org/10.1007/s13272-019-00379-0. Combustion noise: modeling and prediction https://doi.org/10.1007/s13272-019-00377-2. Aeroacoustic wind tunnel design https://doi.org/10.1007/s13272-019-00372-7.